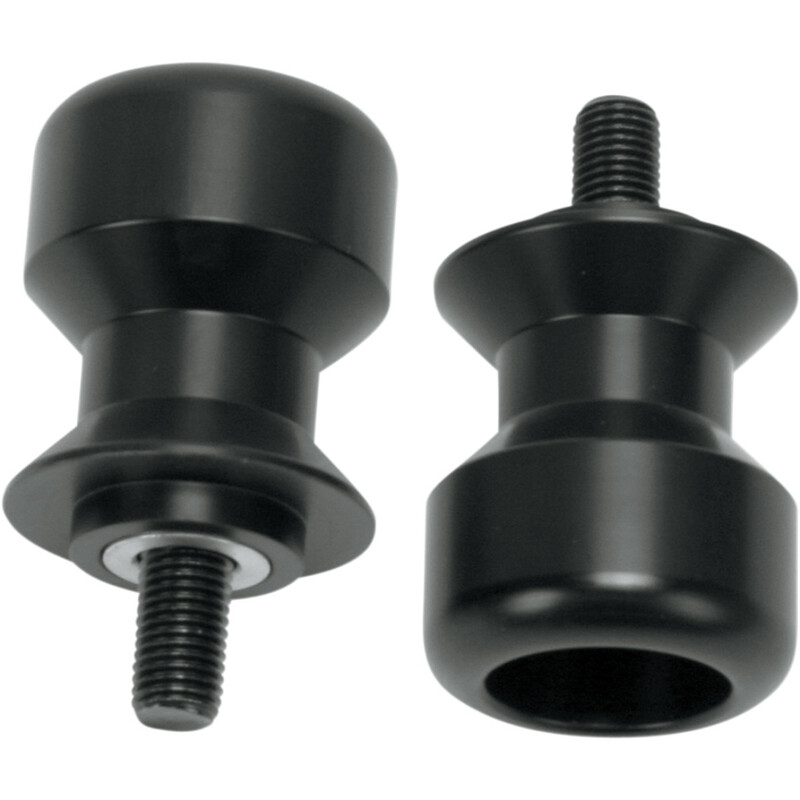 Pro-tek swing arm sliders are designed to act as swing arm stand buttons and give the swing arm extra protection in case of a crash. Constructed from acetal plastic. In your choice of black or white. Dramatically reduces costly damage. 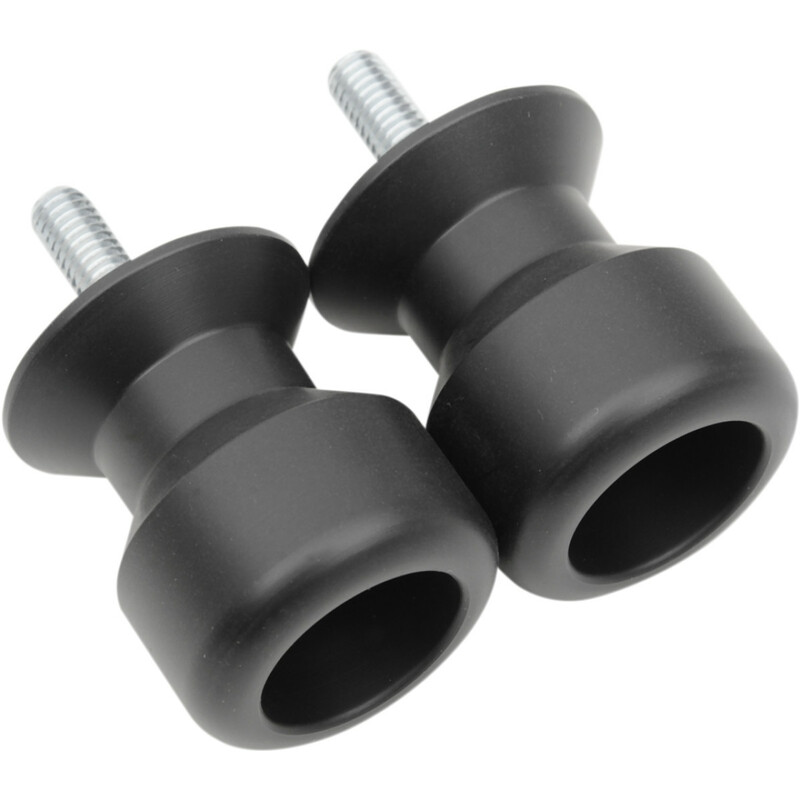 Use with Protek frame sliders and bar-end sliders for complete motorcycle protection. Includes all necessary hardware for easy installation.